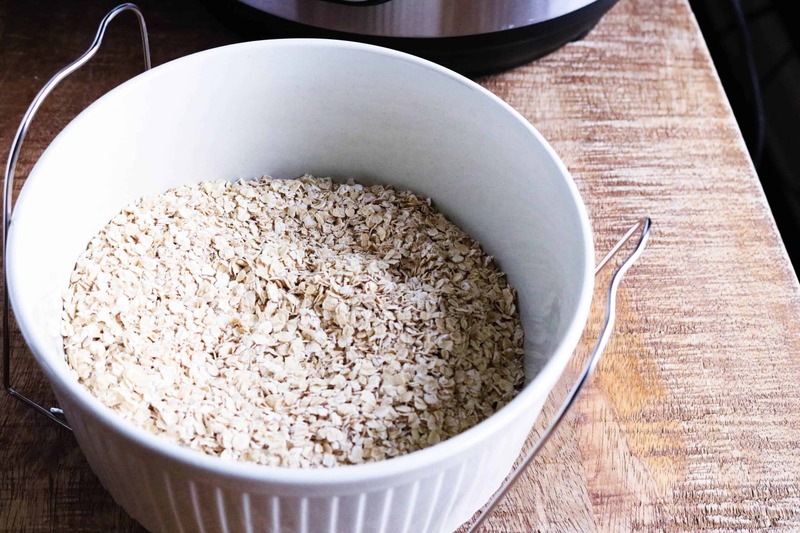 Instant Pot oatmeal is truly one of the fastest and easiest things you can make. 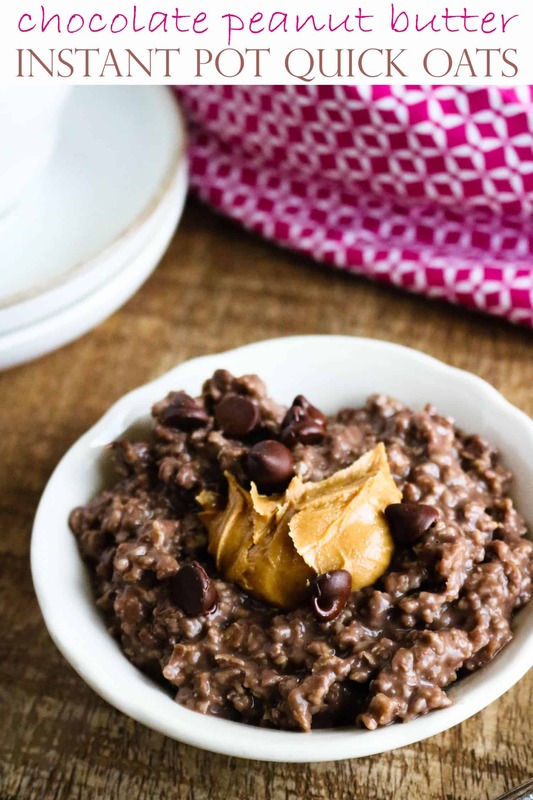 And, this Instant Pot Oatmeal — Chocolate Peanut Butter Quick Oats recipe is a quick and simple way to indulge in the flavors of your favorite peanut butter cup candy, without any of the guilt! 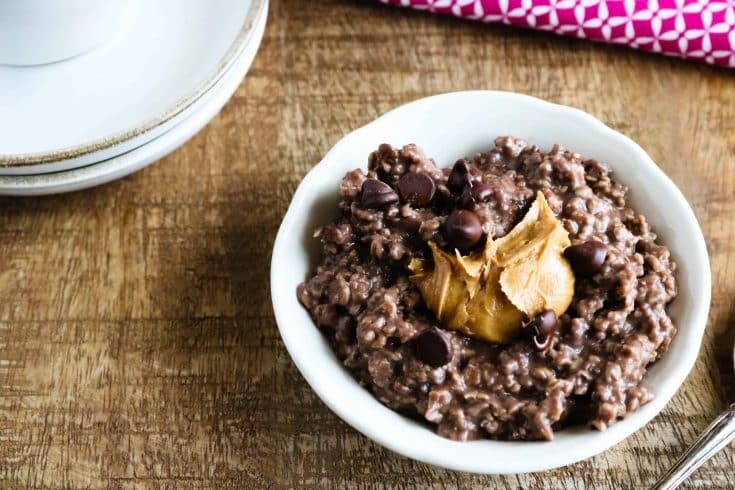 The pairing of creamy peanut butter and rich chocolate tastes like a decadent treat, but combined with nutrient-rich oats it is healthy enough to have anytime…as a power-packed breakfast, a satisfying lunch, or even for a light and hearty evening snack. Check out our other Instant Pot Oatmeal Variations. Topping your oatmeal with a serving of peanut butter is not only a delicious idea, it provides the powerful combination of fiber (2 g per serving) and protein (8 g per serving), which helps to keep you feeling full longer. It’s also a good source of vitamin E, magnesium and potassium. Research shows that eating peanut butter can also decrease your risk of type 2 diabetes, as well as other chronic health conditions. 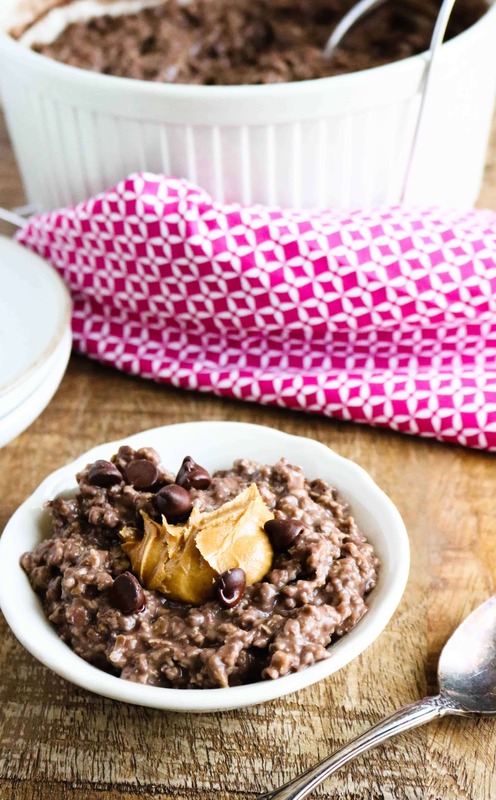 Plus, adding peanut butter to your chocolate quick oats makes one salty and sweet flavor power couple! 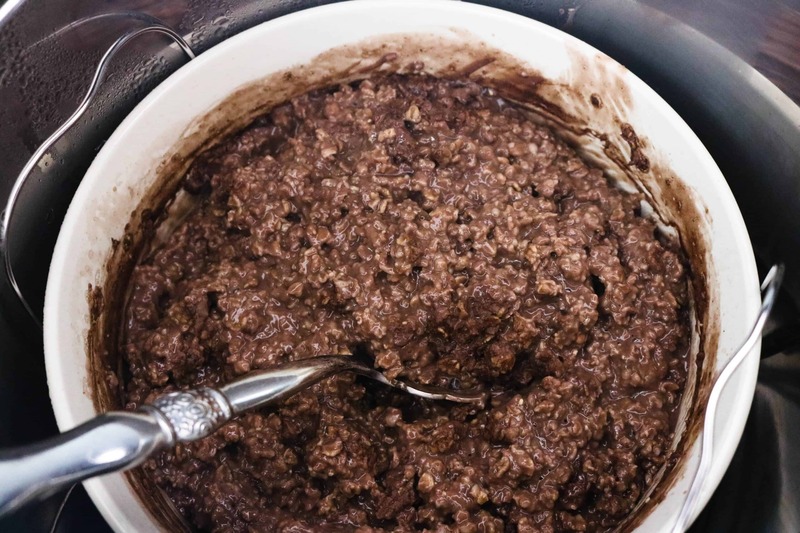 For even more chocolatey oatmeal goodness, you’ve got to try our delicious Instant Pot Double Chocolate Quick Oats with Strawberries. 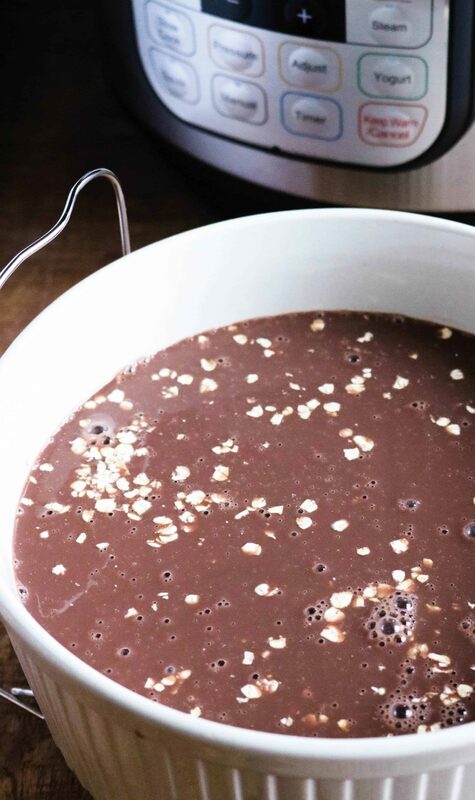 Step #1: Spray bottom and sides of the Instant Pot inner pot with nonstick cooking spray, and add in the quick oats and chocolate almond milk. Alternatively, add 1 cup of water to the pot and put ingredients in a ceramic casserole dish that will fit on top of the trivet. Step #2: Turn the valve to pressure setting, and select a manual cooking time of 5 minutes. Once cooking time has elapsed, do a quick release. Open the lid and stir. Step #3: Dish into bowls, stir in peanut butter, and sprinkle with chocolate chips (or toppings of your choice). Enjoy! Indulge in the flavors of your favorite peanut butter cup candy, guilt-free! Spray bottom and sides of inner pot with nonstick cooking spray. Alternatively, add 1 cup of water to pot and put ingredients in a casserole dish that will fit on top of the trivet. Mix together quick oats and almond milk. Turn pressure valve to pressure setting, and select a manual cooking time of 5 minutes. Once cooking time has elapsed, do a quick release. Add mix-ins to the oatmeal and serve. Makes 4-6 servings.